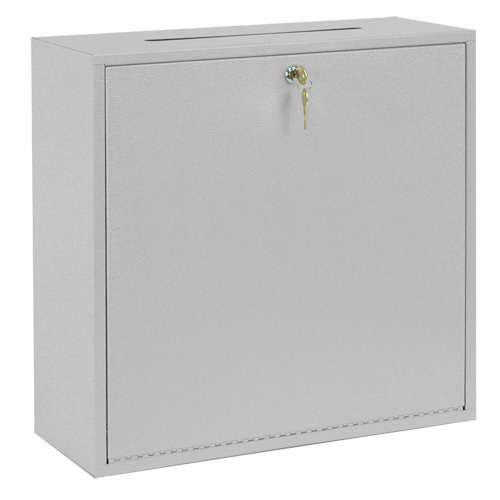 Use as a mail collection box for all out-going office mail. Deters unauthorized access to company mail and posting machine. 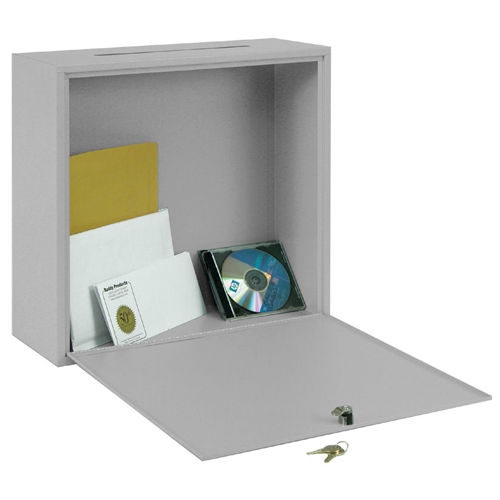 Boxes can also be used to keep private inter-office correspondence confidential. 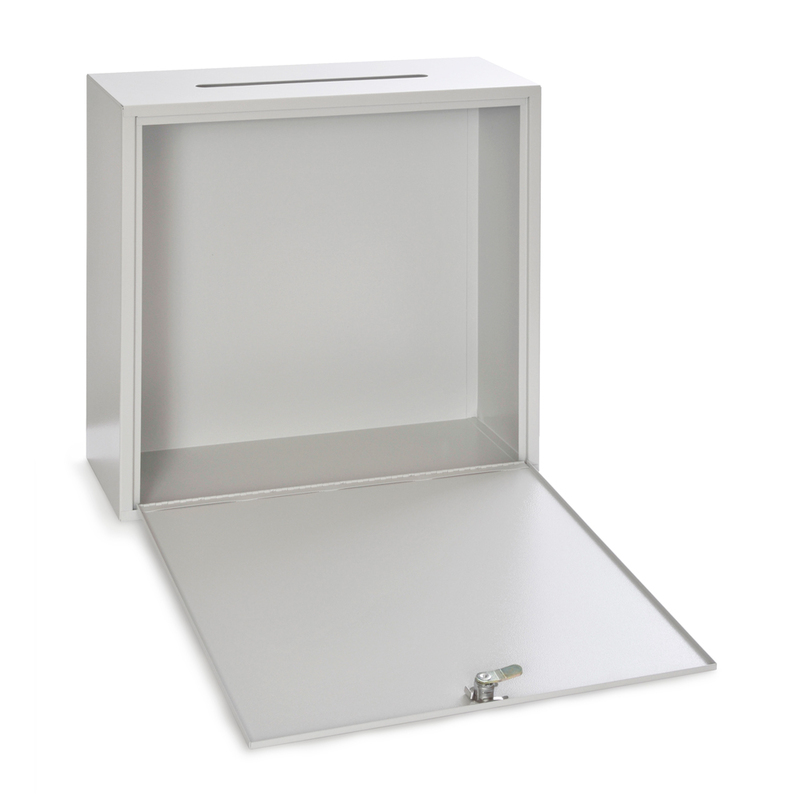 Unit mounts securely to any wall or door (mounting screws not included). Wafer-tumbler lock with 2 keys. Full piano hinged door. Drop slot measures 10-1/2"W x 3/4"D.